StatPlus 2009 5.8.4.0 - Download Win Apps. Statistical analysis program and spreadsheet. 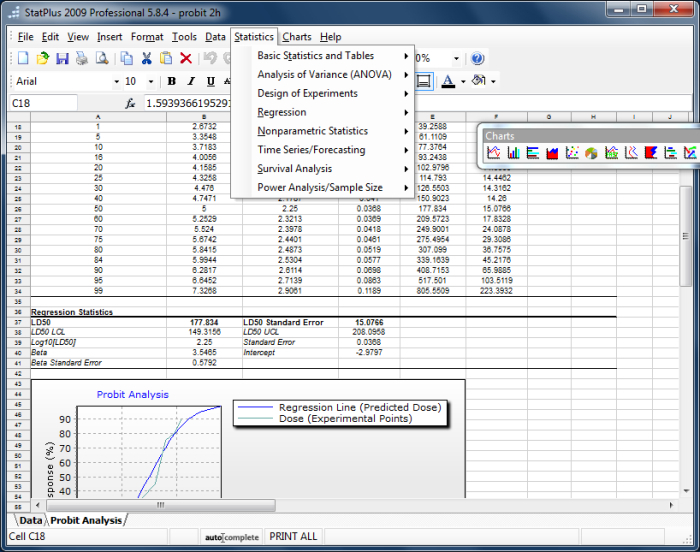 Easy to use..
StatPlus is easy-to-use statistical data processing program. With SP 2009, one gets a robust suite of statistics tools and graphical analysis methods that are easily accessed though a simple and straightforward interface. The range of possible applications is virtually unlimited - sociology, financial analysis, biostatistics, healthcare and clinical research - to name just a few fields where the program is already being extensively used.